Was quite literally born and bred playing bars in New Jersey and in Manhattan. MURPH started playing gigs in New Jersey at the ripe age of 15 years old. 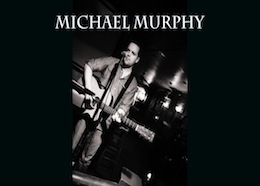 From the age of twenty three to thirty one; MURPH became a staple in the Manhattan bar scene with a residency at the infamous dive bar Oflahertys. It was there that he honed his craft. With a repertoire of almost 1000 songs focusing on classic rock; MURPH loves to talk and joke with his audience. And being the son of bar owner; he knows how to play any room. Whether he’s pushing drinks and pumping up the crowd, or jamming with some hired guns, or having an intimate conversation about music, Mike Murphy is right at home with a guitar and a microphone.